Well that was incredibly frustrating. Both teams looked awful for most of the night. That NTU three-pointer off the back rim, 10 feet in the air, and back down and in is the only reason it went to the second OT, and then that Taylor took over for them. PurplePrideTrumpet wrote: One thing that stood out to me: 11 bench points for Portland, with 9 of those from Sharp. The difference between the first and second units is so significant and they need to do more when the starters, especially Nicholas and van der Mars, are resting. up7587 wrote: Make a free throw. Geezaldinho wrote: Well, you can't say it wasn't interesting. Ahhh well, they can have that win. We'll just have to get over it by watching Ray Barreno in a Pilot uniform for the next couple of years. @CoachReveno wrote: Productive trip to Europe but now excited to be in Indy to see some teams from the Northwest. Time to take a look at some 2016's and 17's. Implies that the trip to Europe was for a 2015 prospect. And if it was productive, that means . . . what? Everyone needs a back-up plan... After Barreno decided to come to Portland, North Texas signed 6'-10" high school center Trevor Thompson, from Prosper, TX. DD wrote:"Ray is the center with Philipp backing him up . . ."
And also wrote: "When Berry and Barreno faced each other in November, Berry played 18 minutes and Barreno played 17. In that time Berry had 4 fouls and Barreno 5. If both those statements are accurate our 7’0” may should receive plenty of playing time. I am hoping the young man keeps developing given the description of his improvement Reveno suggested on the radio. Can't help but believe that both Philipp and Ray, with seemingly contrasting styles of play, will each be better players by going against each other day after day in practice. Although, with Germany's much better success in the World Cup, but Mexico's upset of Germany in the U17 World Cup semifinal game a about 4 years ago, there could also be a friendly feud develop between the two. 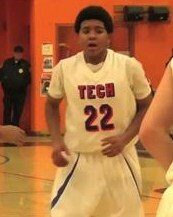 DoubleDipper wrote: Connor has reportedly narrowed his list to WSU and USC (South Carolina). 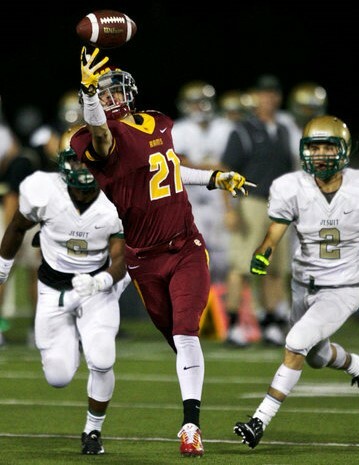 Lot I know.....Connor Clifford signed with WSU today. I'm guessing it was his only Pac-12 offer, and that's the conference he and his dad wanted him to play in. Good luck in Pullman, Connor.....I hope UP plays WSU during the 2016-17 season when Ray Barreno and Clifford are seniors. Terry Cahill wrote: .....I haven't seen any video but one could probably assume that the presence of a pretty solid PF in Cullen Russo - who's off to Wichita State or Minnesota - cut into Barreno's post touches with NMJC. Russo passed on both Wichita State and Minnesota and is headed to Fresno State. As a Minnesota native who played in Hobbs, New Mexico for two years, guess he liked the sunnier (and extremely dry) climate. I've lost track, but I believe that's at least 6 NMJC players who will be at D1 schools next season. NoPoNeighbor wrote: The question remains, what is Rev doing in London? Just as Telly Davenport was the backup in the event Rashad Jackson didn't sign, Rev was probably "camping out" with the backup (probably Karolis Kundrotas) if Ray Barreno had not committed. I wish we could have got that guy to come to UP somehow. Couldn't we have stashed him away at some prep school for a year? Or Clark College? Berry, once a Top-10 prep player in Rhode Island, today signed with the University of Rhode Island.....a program that was rated #56 in the nation by Pomeroy last year. DoubleDipper wrote: The Oregonian released its Prep Basketball Class 6A All-State selections today, and it's interesting how many have not garnered attention from D1 or D2 universities. It's an old story, UP would like to have more Oregon student-athletes on the team, but there are not that many D1 athletes to choose from. Former UP assistant and brand new Western Oregon head coach, Jim Shaw, has signed his first recruit....Kadeem Strickland. Strickland averaged 21.3 points, 7.4 assists and 2.3 steals a game in his senior season at Jefferson to land on the Oregon 6A first team. Terry Cahill wrote: Edit: Yeah, one. Forgot about Monson. Where's he doing his mission, anyway? 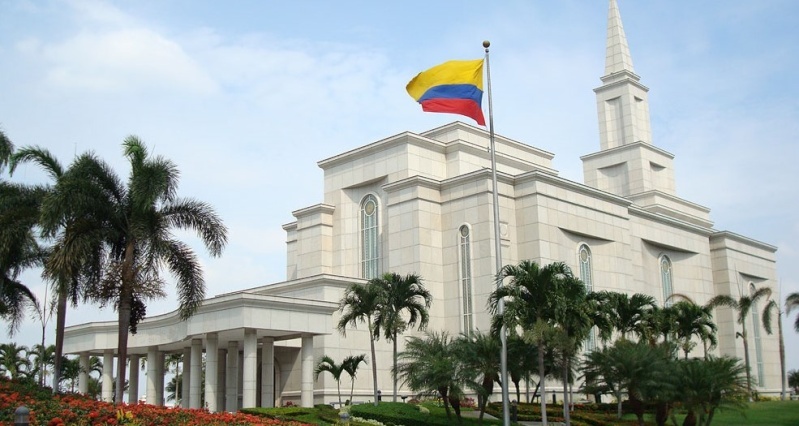 After finding a video of the Olympus High School Class of 2014 LDS Missionaries read there assignments to adoring friends and family in a "Where are the going" segment, it was revealed that Alec was headed to Guayaquil, Ecuador.....where he is still on duty and apparently staying in touch with the UP coaching staff. That place could be bigger than the Chiles center. UP loses one Central Catholic point guard/football player and gains another. With the graduation of David Carr, UP was momentarily without a Central Catholic point guard, but now Xavier Hallinan, 6-1/160, will join the Pilots as a walk-on this coming season. 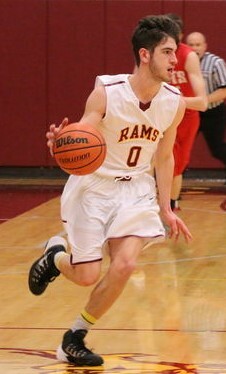 In his senior year Hallinan led the Rams to a 23-6 record and 4th place in the state tournament played in the Chiles Center in March. wrv wrote: Not trying to be a killjoy, but is it a possibility that Maker will not be admitted and hence another scholarship becomes available? Hence a trip to London has two purposes, as a backup plan assuming two scenarios, one concerning Barreno and one Maker. It is expected that Chiir will be enrolled at UP this summer, along with all the other recruits, but it is not clear what hurdles he must overcome to be eligible to play basketball for UP. Regardless, it is my understanding that he will be using one of UP's 13 men's basketball scholarships. Chier Maker is listed on the 2015-16 roster on the UP website. I'm not sure if that means/implies anything about his NCAA eligibility. Obviously he could still redshirt. All of the other expected guys are listed, too. Including Hallinan. Young squad this year! "The hope should be that we have a better big man that we are interested in. The thought of losing a kid to Portland freaking St. is just depressing." It had to even tougher for the North Texas fans when their team lost 66-7 to "Portland freaking St." in the Mean Green's homecoming game last Saturday. Go Portland freaking State, and Pilots. wrv wrote: Enough time spent on Connor, the Saddleback center, almost certainly headed elsewhere. Have been curious all season how well Conor (just one n) Clifford has been fitting-in with WSU and the Pac-12.....and today I finally got to seem him play in Pullman against Cal. Of course Cal won, and Conor did not impress me as a Pac-12 caliber player (no surprise really), but he could have been a force in the WCC or some other mid-major conference. Very skilled with his feet and hands, and BIG at 7-0/285, he's just not athletic/quick enough to go up against the athleticism possessed by so many of the big men at the upper major level. I certainly hope he's happy in Pullman (and his dad too, as it seemed he was the one who steered him away from another mid-major after spending two years at UC-Irvine), but at 1-14 in conference play, I don't think anyone is very pleased with the fortunes of the Cougars under first year WSU coach, Ernie Kent. DoubleDipper wrote: UP loses one Central Catholic point guard/football player and gains another. I like how the photoshopped "Toros" over a Pilot uniform and turned it red. You can still see the EMC, WCC, and Wheel/Anchor on the neck. DoubleDipper wrote: Much like Mexican student-athlete Jorge "Cokie" Rochin before him, I really believe Barreno will be a crowd favorite....and will be the scourge of opponents. Don't know if Ray Barreno was a fan favorite or a "scourge of opponents," but he's been a student favorite and a great guy to know during his time on campus. We shared one class together this semester, and he's a very bright guy who has been a big help to a number of our classmates. Ray tells me he's going to be hiring an agent after graduating on Sunday and plans to play professionally in Mexico for "a few years." Ray knows who Cokie Rochin is (I have no clue) but he has never met him, but says he heard he was working in telecommunications in Scottsdale now that he's not playing professional basketball. Does anyone know where Cokie is? Ray wouldn't mind connecting with him. He's playing just "okay," averaging just over 7 points per game while playing in all of the Panthers 24 games to this point, but he's not happy with how he's playing and reportedly does not care much for the school. I didn't get a chance to learn how he's doing academically, but I'm sure he misses the nurturing help he received during his time at UP....one just has to hope he's getting the education he needs if he's to continue college basketball over the next two years. 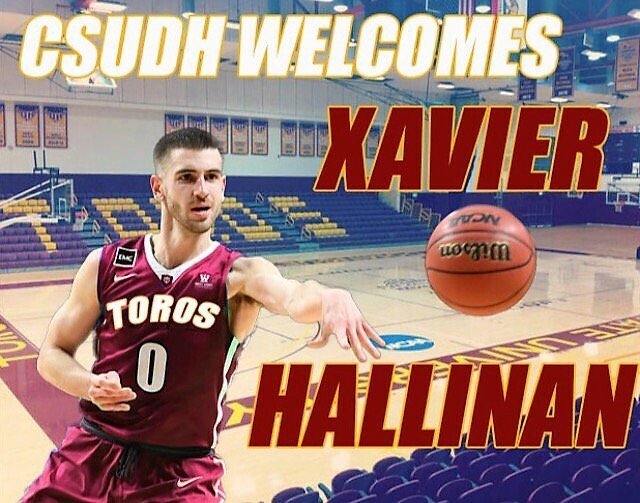 I'm still not happy a former assistant coach steered him toward Palm Beach when he'd had an offer to play D2 basketball in a community that has a solid South Sudanese population, but that coach convinced Chier he'd be back in D1 next year. I still contend a lot can happen during the next 16+ months. I'm probably not the only one who has been following Jazz at Nevada this year. He really worked hard at losing weight and getting his body in shape for the grind of Top-25 basketball (KenPom puts Nevada at #7), and it's paying off. Jazz doesn't start, but as the 6th man he usually gets more court time than some of the starters. Yesterday Nevada bounced Utah in Salt Lake, 86-71, and Jazz played 29 minutes, going 4-4 from behind the arc and raising his season 3-point shooting to 31-52 (.596%), and is the third leading scorer on the team.